KATHMANDU, DEC 14: If you’ve spent some time on the internet today, we’re pretty sure you do know about what happened at Club Deja Vu last night. Marshmello was scheduled to perform in the Kathmandu club last night, but he didn’t, and a mayhem broke out. 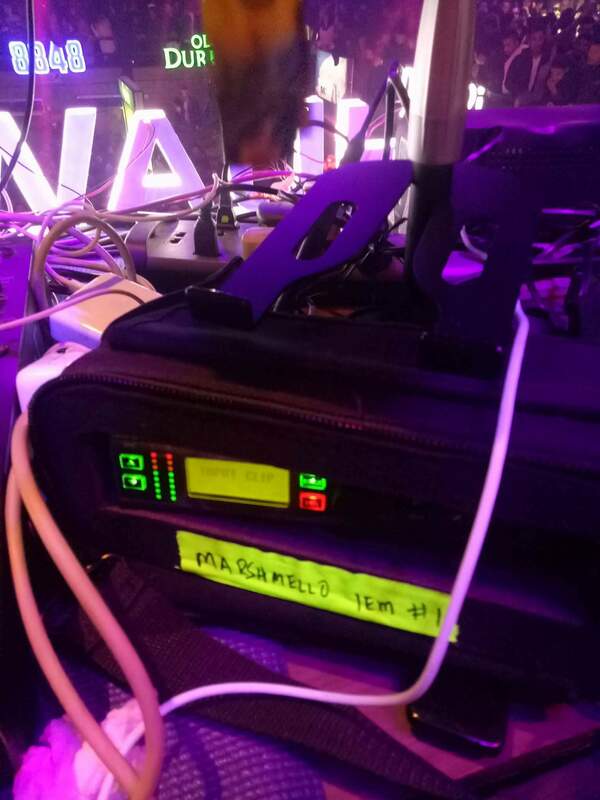 A number of videos from the venue have surfaced on social media, showing the angry attendees vandalizing the place. Nepal. I’m so sorry for not being able to appear for my performance last night at Deja Vu ktm. I was sick with an awful fever, & although I tried to come, the doctor ordered against it. Health first. I love you Nepal Mellogang, thank you for understanding & hope to see you soon. “Nepal. I’m so sorry for not being able to appear for my performance last night at Deja Vu ktm. I was sick with an awful fever, & although I tried to come, the doctor ordered against it. Health first. I love you Nepal Mellogang, thank you for understanding & hope to see you soon”, the DJ tweeted at around 5 AM this morning. But guess what, it was too late and the damage had been done. If only the information came earlier and the fans did not have to wait until 2:30 AM in the club to find out that Marshmello would not be there; this could have been prevented. With his absence at the venue, many people had started doubting if he even landed in Nepal; and looks like he did, and left this afternoon. According to the source, Marshmello’s crew members did check the sound and stage settings on Wednesday evening. 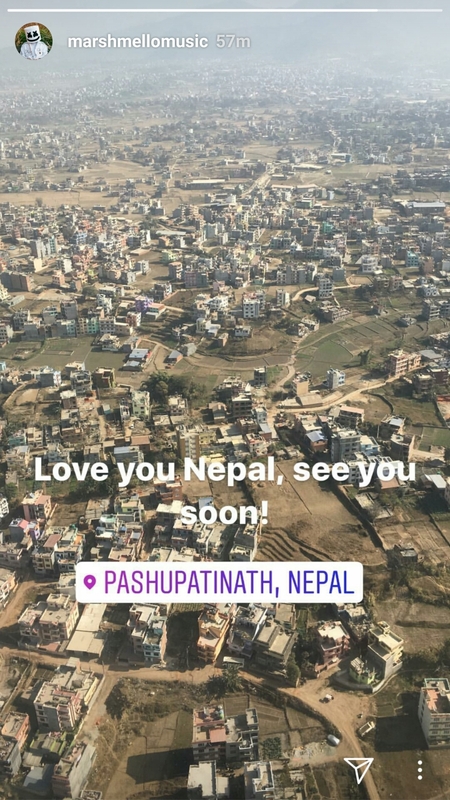 Also, a story post on his Instagram handle posted at around 12 noon today had an aerial picture of Kathmandu with the text, “Love you Nepal, see you soon!”, suggesting he was leaving. He also did post a picture of him with his trademark white helmet on, wearing all-white outfit; with a khata (Tibetan scarf offered while welcoming or bidding someone farewell; and in other auspicious occasions) on his neck. The location on the post showed him to be in Kathmandu. According to the source, the organizers — 61Live and KTM Live — are now looking for a date to reschedule the event; and the tickets that have been already sold would remain valid. A video of a Marshmello’s crew member explaining the situation and apologizing for not being able to perform has also been released online. Marshmello, the mysterious electronic dance music DJ, had gained international recognition in 2015 with the release of his remixes of Jack U’s ‘Where Are U Now’ and Zedd’s ‘Beautiful Now’. He then collaborated with a range of well-known artists including Wrabel, Ookay, Omar LinX, Slushii, Demi Lovato and Selena Gomez. His song ‘Alone’ appeared on the US Billboard Hot 100 chart in January this year. Forbes named him as one of the world’s highest paid DJs earlier this year in August.